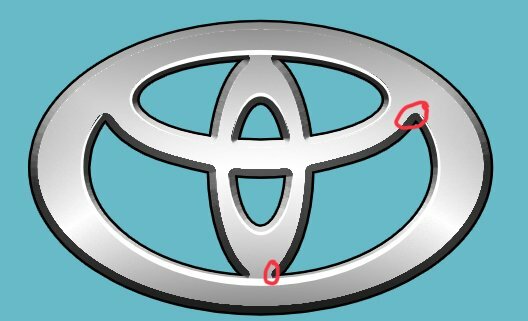 i chose to tackle the Toyota one, as it looked sorta simple at first. Now i know this is pretty rough, and I haven’t figured out all my shapes very well, BUT i can’t figure out why the 3D FX is rounding the corner of the bevel instead of keeping it sharp! After going over this effect with a member of the QA team, it does appear you are not missing anything and it's just how the effect is built up. Thanks, Stokerg! I appreciate you trying to trouble shoot for me! Would you be willing to move it over to the feature request forum when you have time? Thanks again!